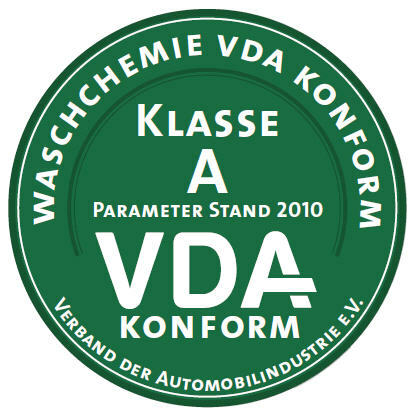 Welcome to the registration side "VDA-compliant Car-Washes"
Registration of car-washes, wash chemicals or wash components by manufacturers. Registration of car-washes by operators. 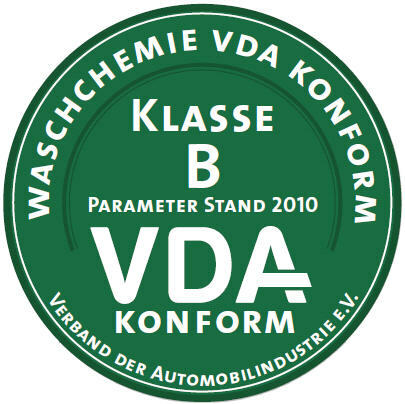 The compliance of a car-wash in duty with the criteria of the VDA-regulation �Car-washes� is cognizable for third parties (e.g. customers) by sticking a specific seal onto the car-wash. 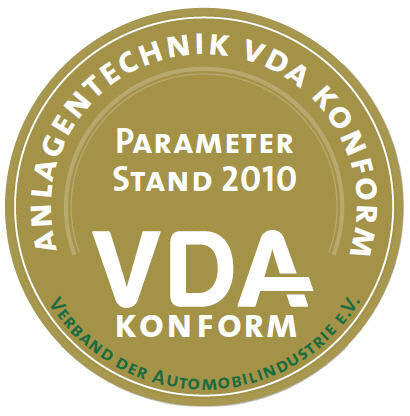 Basis of the VDA-seal are the criteria of the VDA-regulation �Car-washes� for chemicals, technique and components in use. Precondition for granting and receipt of the seal is the overall compliance with these criteria. Manufacturers of car-washes and chemical cleaning agents issue specific declarations of conformity regarding their individual business and allocate those documents to the operators, as far as their products meet the VDA-criteria. Manufacturers of wash components (e.g. brushes) are allowed to issue additional declarations of conformity for their components, as far as all relevant VDA-criteria are met. 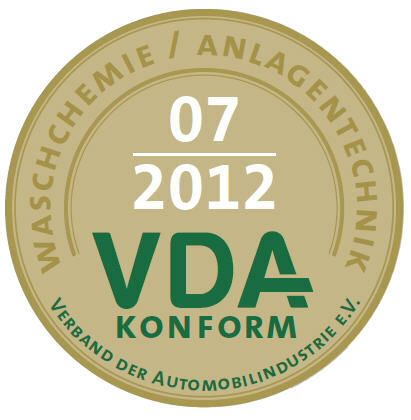 Operators of car-washes can apply for granting of a VDA-seal by using this registration site. The registration form has to be printed out after completion and has to be sent to VDA QMC by land mail or email. Beside the data of the registered car-wash � name, address, name of the owner � the registration form contains statements about the technique and wash chemicals in use. Together with the application form the operator has to send the declarations of conformity from the manufacturers for all components in use - the car-wash, the chemical products, components and individual approvals by accredited laboratories, resp. designated experts, if relevant. A list of experts, which would be accepted by VDA QMC, could be requested from VDA QMC. After positive verifying of the application by VDA QMC the requested seal will be sent to the operator by land mail. Together with the seal the operator will receive an official invoice. The annual fee of 100 Euros per car-wash in duty will be charged to the bank account mentioned in the registration form annually. The seal will be granted newly every second year automatically; termination is only possible after corresponding notice of cancelation. To assure the compliance with the VDA-criteria in the market, VDA QMC conducts specific on-site inspections, which are free of charge for the operators.